There are plenty of ways to hang plants in your yard or garden. 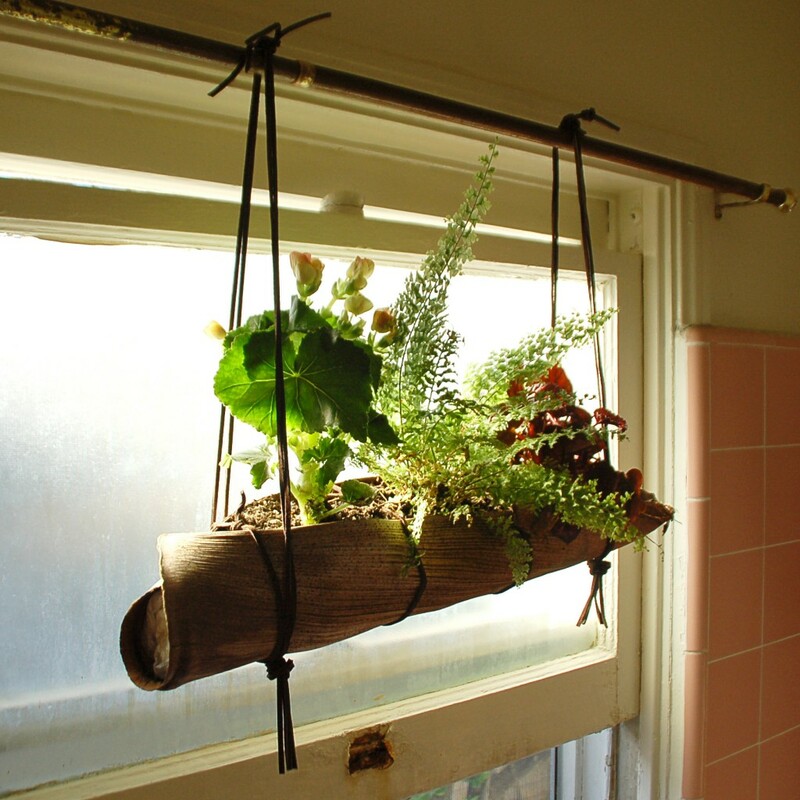 Here are several hanging planter ideas that you could do around your home. Plants are a great addition to any space, indoor or outdoor. They brighten our moods, filter our air, and some add a fantastic fragrance. We keep terrariums indoors, herb gardens, and small containers filled with plants, especially if we can’t create a garden outdoors due to lack of space. 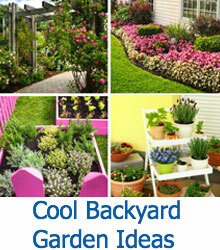 And if you can’t create a garden or landscape in your backyard, container gardening is the next best thing. And if you don’t have a lot of floor space, you’ll want to utilize any vertical space you might have with hanging planters or baskets. 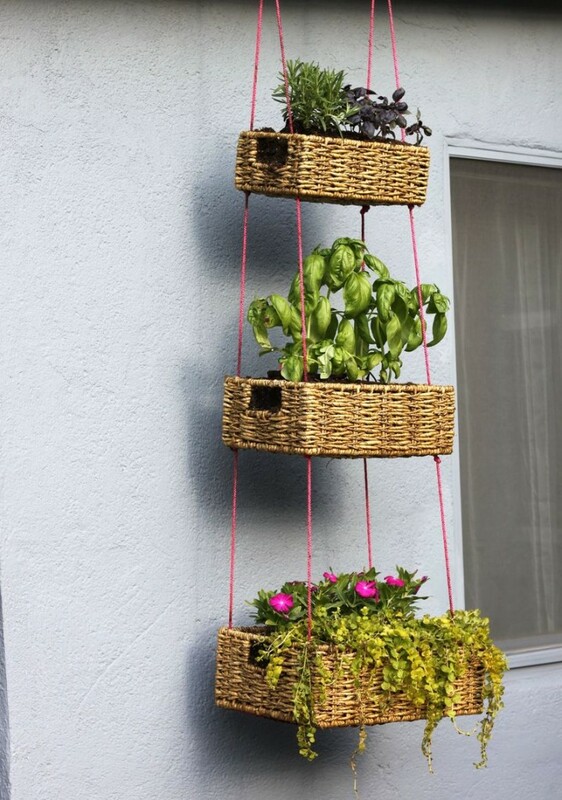 There are tons of great hanging planter ideas out there, many of which are DIY projects, mostly because hanging planters are one of the most versatile designs, and can be fashioned from nearly anything. You can add a hanging planter to a fence to dress it up, from the edge of a roof or patio, or even indoors. Adding a hanging planter is an excellent way to add plant life to your backyard or indoor design without cluttering up tables or the floor. We hope you’ll find inspiration to add a display of plants or flowers to the vertical spaces of your home, patio, or garden. This clever planter is fashioned from an empty and clean two-liter bottle, and is suspended near a window from the curtain rod. 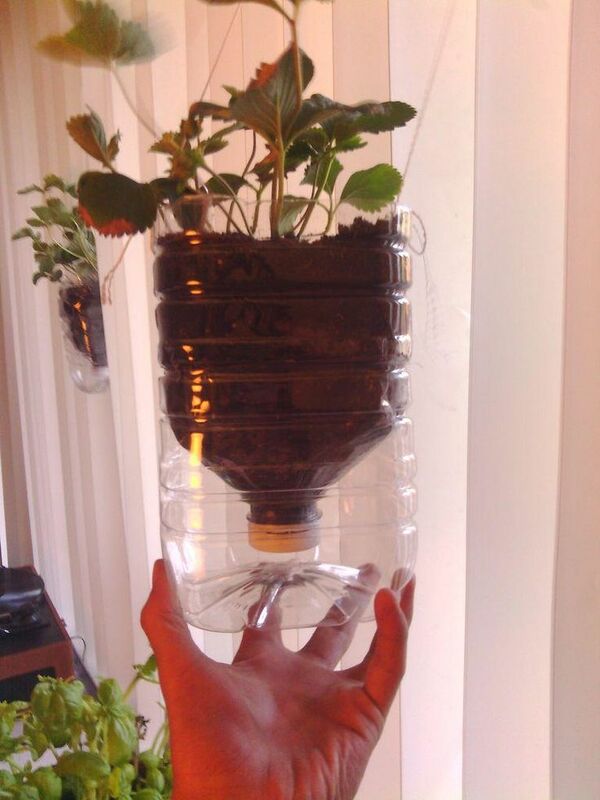 The entire planter is made from a single bottle, using the top as a funnel into the bottom, which catches any extra moisture draining from the soil. 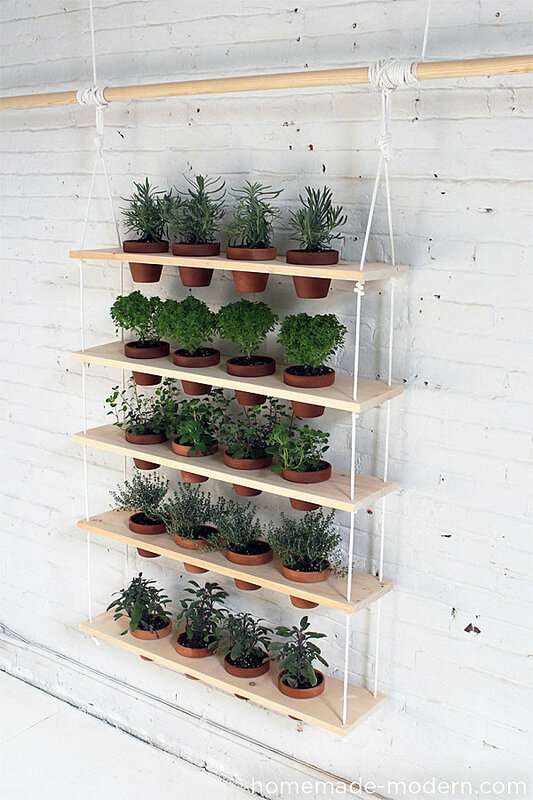 This is a great way to raise vegetables or herbs indoors, particularly if you live in an apartment. This vintage wrought iron bird cage in white is an excellent way to add a delicate element to your interior or exterior decor. 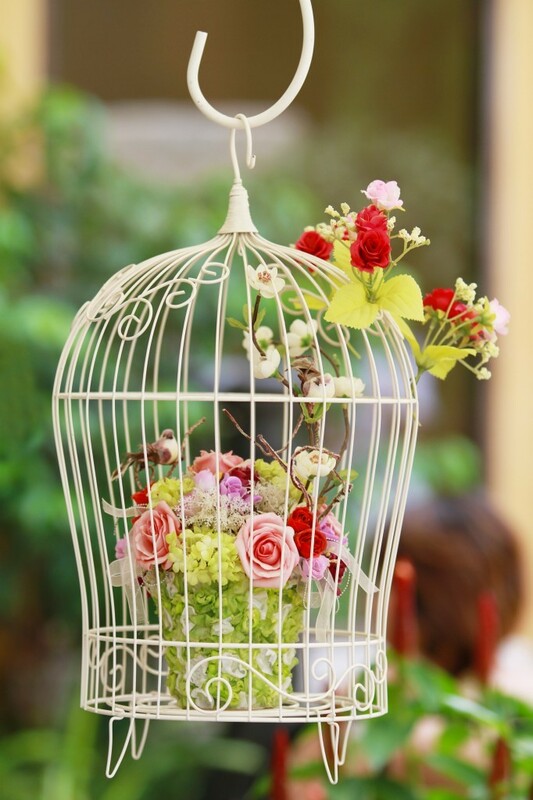 You can take any floral arrangement or planter and add it to the interior of the cage, and then embellish with small bird figurines or ribbons. Since a birdcage is already made to hang, you won’t need to worry about fitting it with a hook or wires. 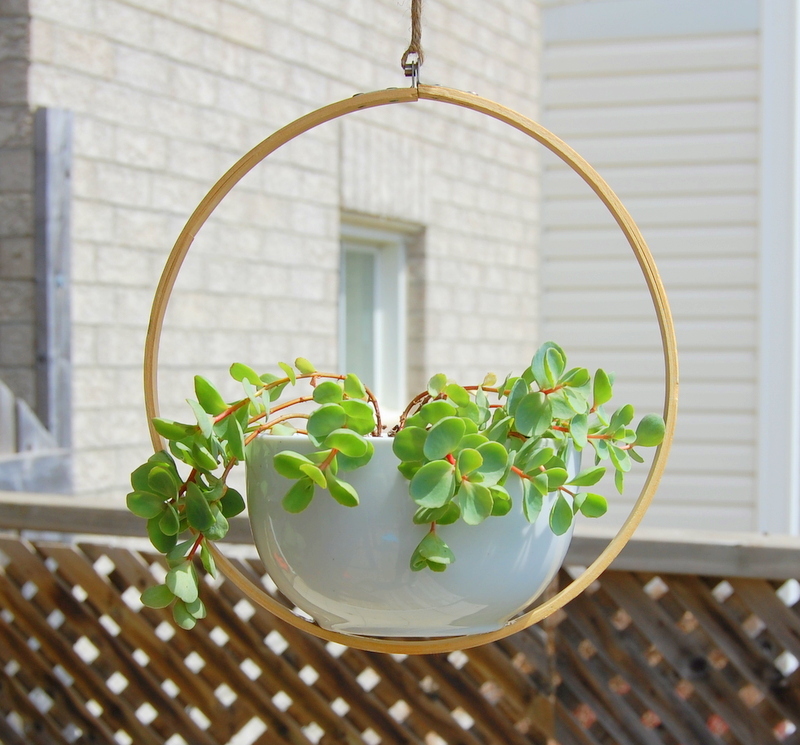 A simple embroidery hoop can be easily transformed into a delicate hanging planter when combined with a white ceramic tabletop planter. You’ll want to follow the directions for this one, to ensure that your fragile ceramic planter doesn’t end up shattered on the ground after coming detached from the embroidery hoop. You could also convert a much-loved but out of style purse into a hanging planter, allowing the vines or flowers to trail out of the main compartment and down the sides of the handbag. This lightweight planter is perfect for indoors, but could also be included in a garden, either hanging on a fence or on a patio wall. This simple plank and rope hanging planter contains plenty of space to raise a substantial container herb garden and is easy to construct. To harvest, water, or move the plants, you only have to remove the terra cotta planter from the cutouts in each plank shelf. A great, simple DIY project that you’ll love! 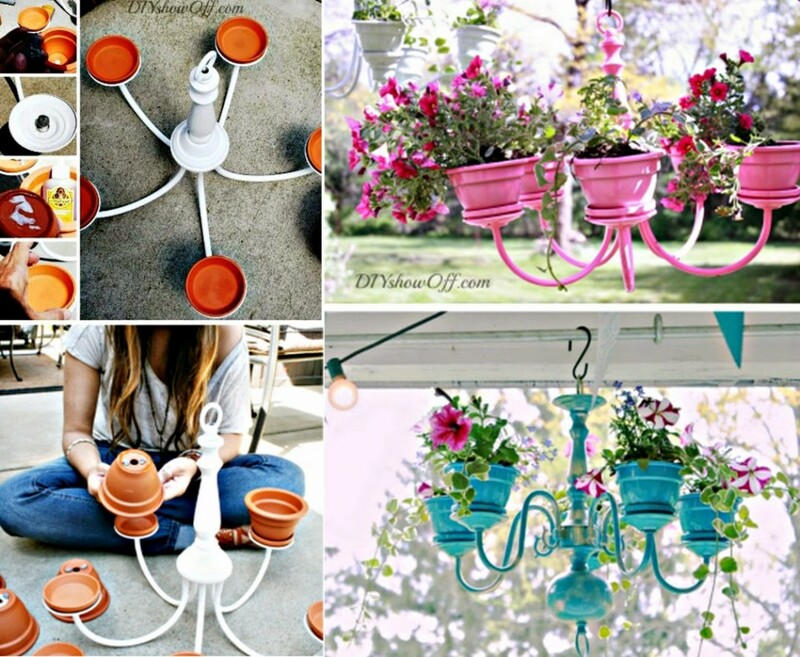 Transform an antique chandelier into a lovely outdoor planter that will look amazing hung on your outdoor patio. Paint the chandelier first, and choose a bold color, like turquoise or pink to really make your new chandelier pop. 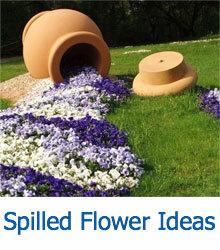 To get a really cohesive look, be sure to paint the terra cotta planters as well. 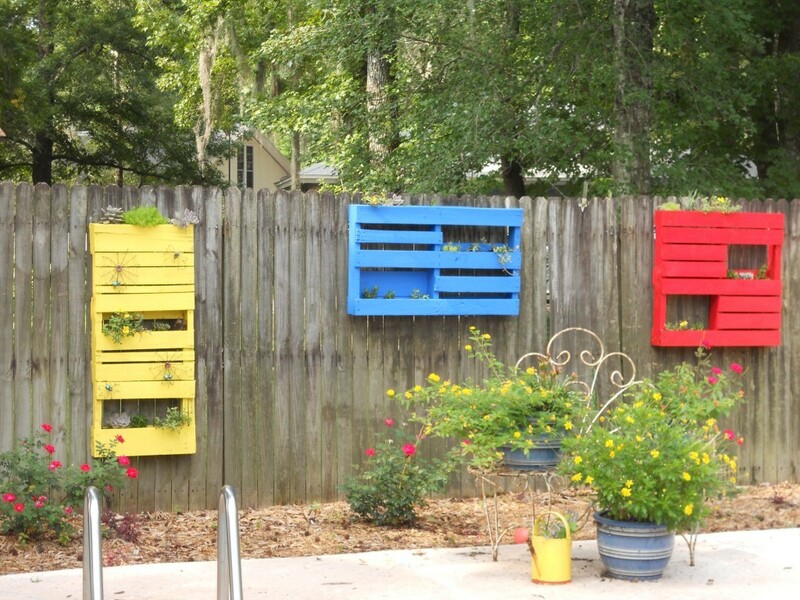 Create these unique pallet planters by strategically removing boards and filling the spaces in between with a variety of lovely flowers and trailing vines. 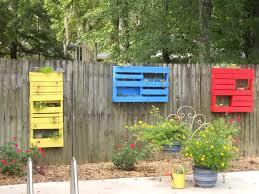 To get the pallets to pop against a wooden fence, try painting them in bright colors, like these yellow, blue, and red examples above. 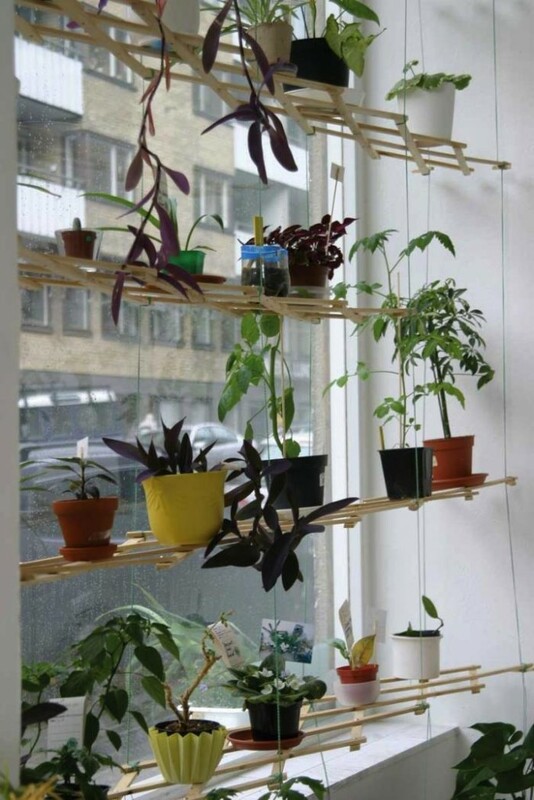 To make these unique shelves, suspend rows of lattice by sturdy wires or rope from the ceiling. Place a variety of colorful, small planters on the sturdy joints of the lattice and watch your plants absorb the sunshine pouring in through the windows. This is another great project for owners of small apartments! 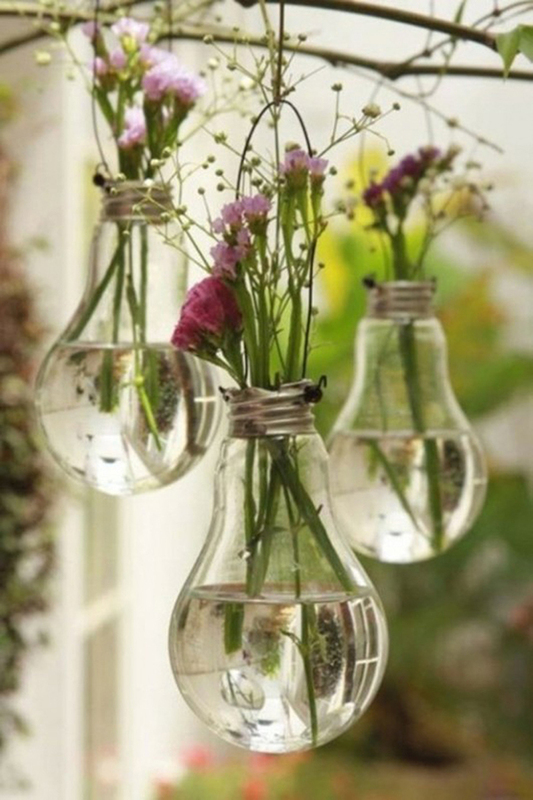 These incredibly gorgeous hanging vases are made from old lightbulbs. The bottom of the bulbs are removed along with the wiring inside to make room for a bit of water and a few small cuttings of your favorite flowers from your garden. These make for fantastic displays indoors or outdoors. Mason jars, like burlap and pallets, are one of the most popular materials for DIY projects right now. 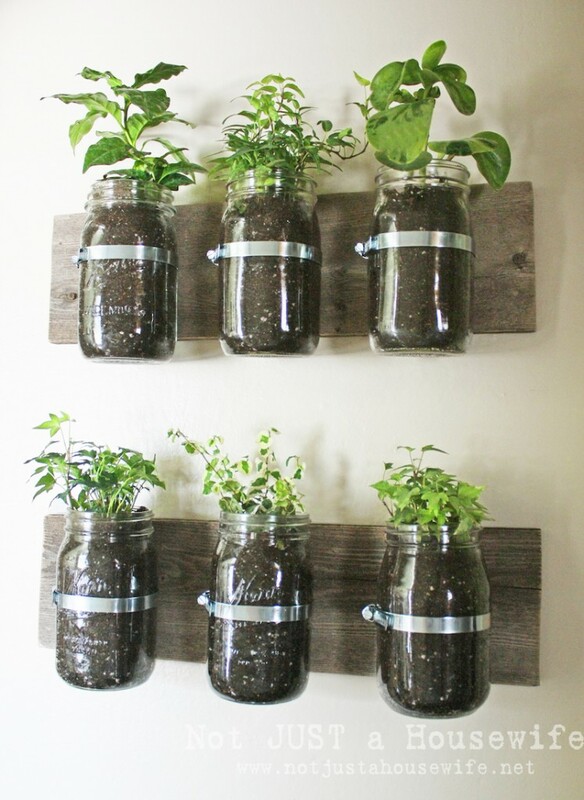 To create a hanging herb garden for your kitchen, attach large mason jars to a plank and simply fill with soil and your herb seedlings. Care for your herb garden carefully and start enjoying your fresh herbs! 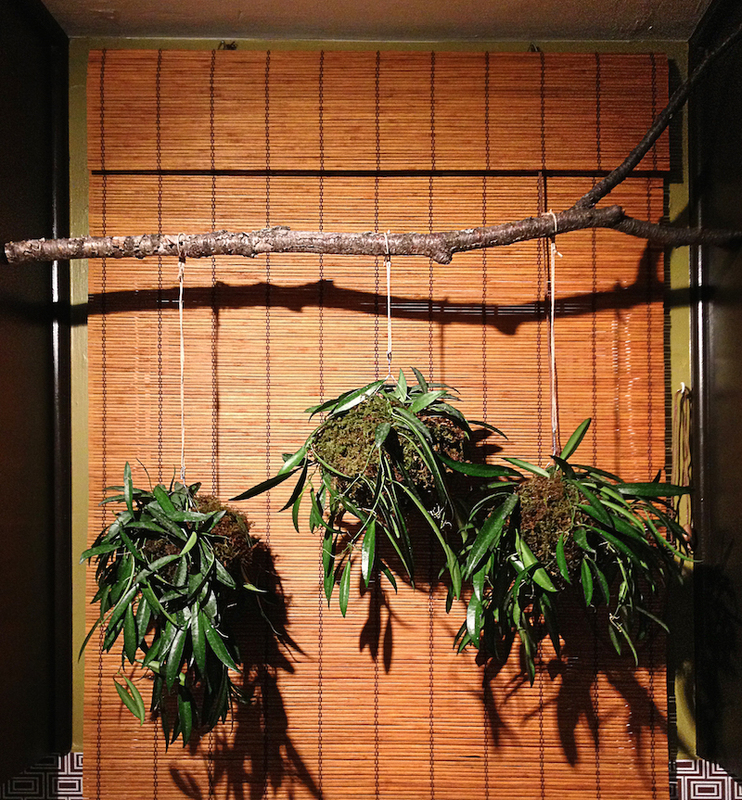 This creative and tropical hanging planter is fashioned from a dried palm leaf fabric ties. The soil is held in the planter by fabric. This is a unique and unexpected display that will elicit exclamations of envy from your guests and friends. This is another great project that requires only a few tools and is really quite simple. Find a few baskets in varying sizes that you just love, then connect them with brightly colored rope supports, and finally, add displays of flowers and plants to finish off the look. 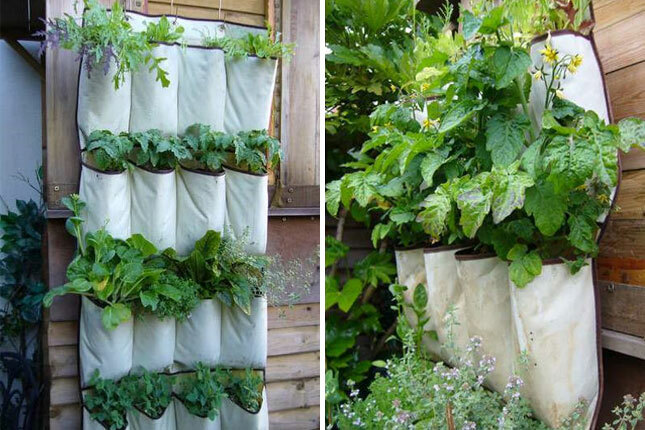 This is a great project for indoors or outdoors. 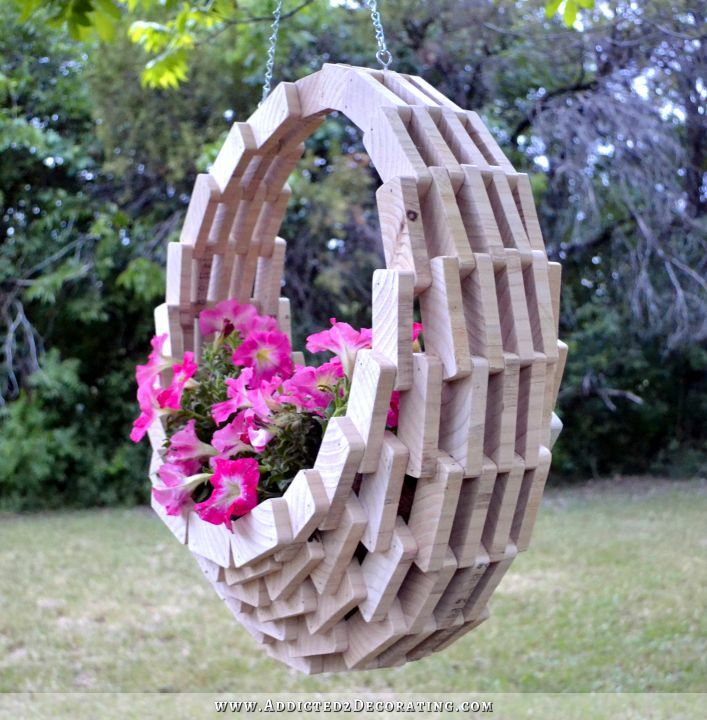 This planter is an incredible work of art assembled from individual wooden blocks to form a nest-like hanging planter that can be filled with your favorite shallow-rooted flower, like these petunias. This is a heavier planter, so you’ll want to attach it to a sturdy branch with chain. 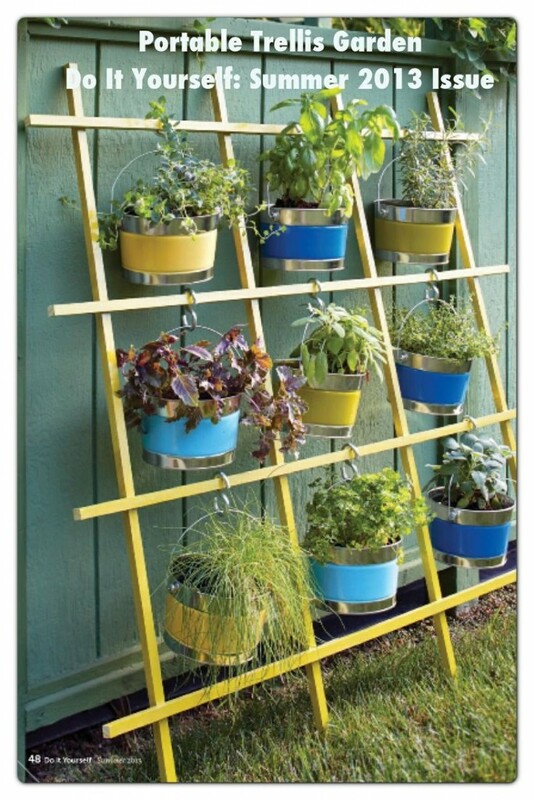 Who would have thought that a shoe organizer would make such an ideal material for a small herb or vegetable garden? This is a no-fuss project that will definitely not have you tearing your hair out in frustration. 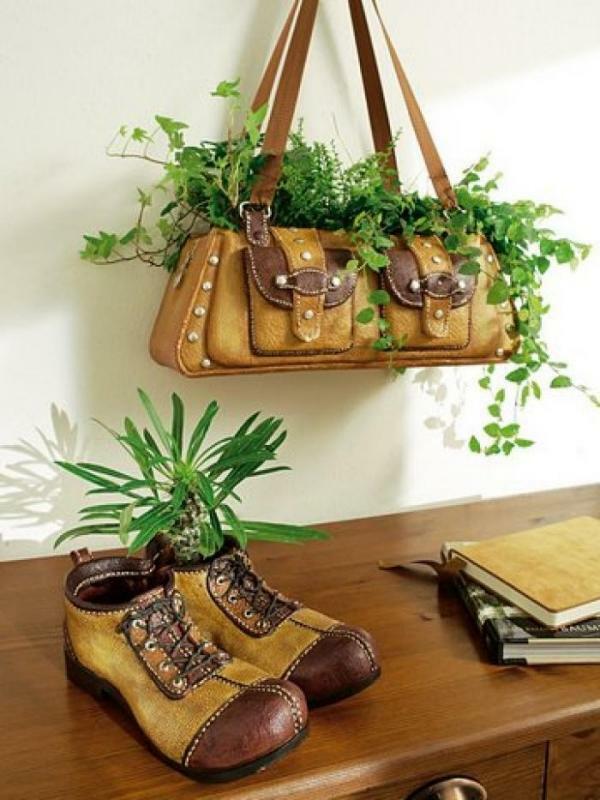 Simply hang your shoe organizer from your shed, patio, or fence, and fill the pouches with soil, then add your plants. This is another interesting way to create a hanging garden display, utilizing a painted trellis, small buckets in bright colors, and S-shaped hooks. 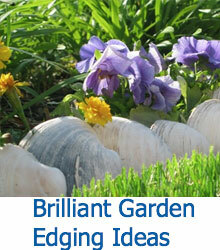 Simply fill your buckets and hang on the cross bars of the trellis. You’ll want to be sure, however, that the trellis you choose is sturdy enough to support the weight of your plants. This is a unique planter solution, utilizing an old branch to hang each plant ball from. The balls are formed from moss, soil, and the roots of the plants, and don’t require planters. If you’re looking for a bohemian way to add planters to a room, this is a great solution!